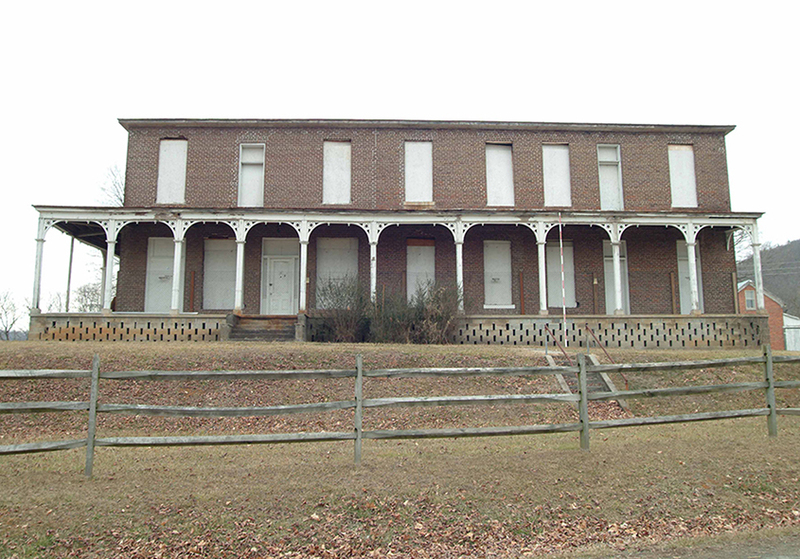 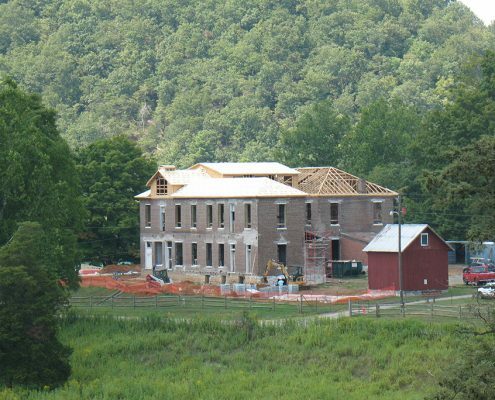 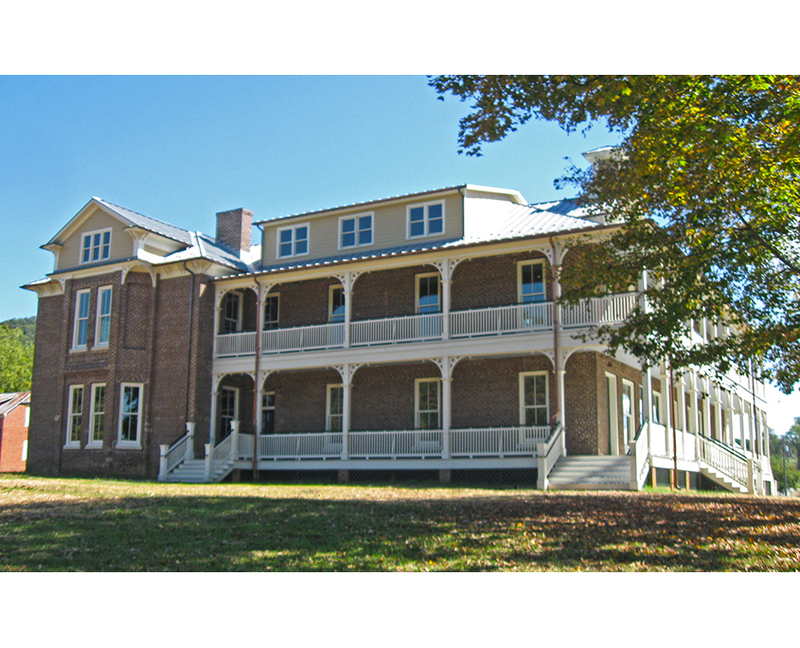 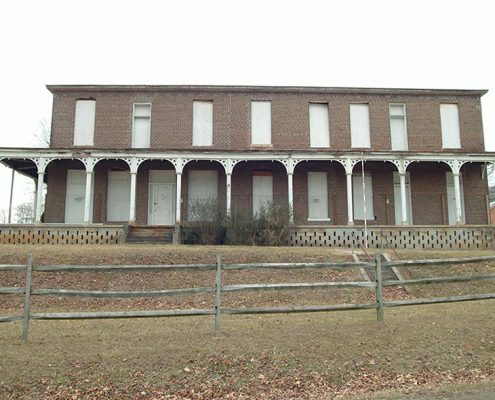 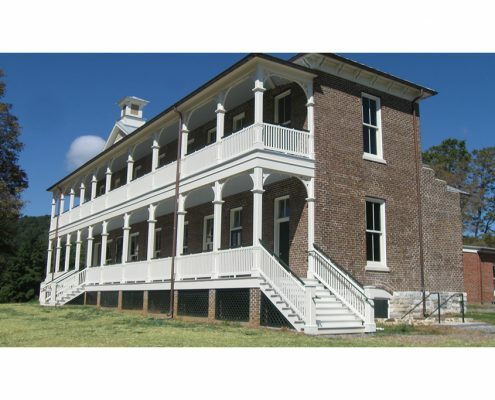 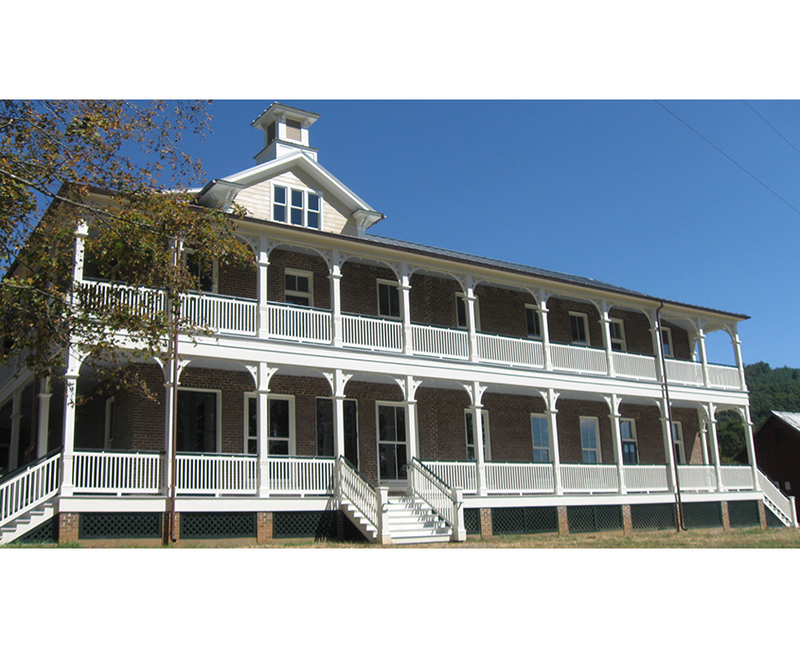 Frazier Associates provided full architectural services to the Virginia Department of Con­servation and Recreation to return this vacant hotel to its role as the anchor of a nineteenth century mining village in the New River Trail State Park. 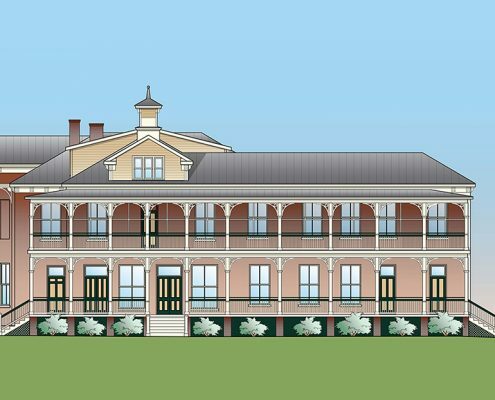 Historic documentation of the building prior to a catastrophic fire served as the guide to restore it to its former promi­nence. 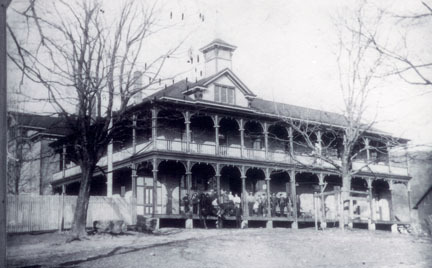 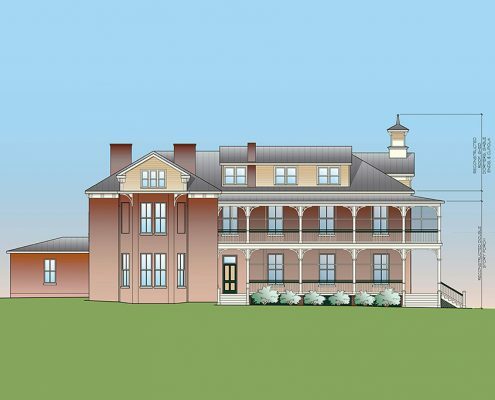 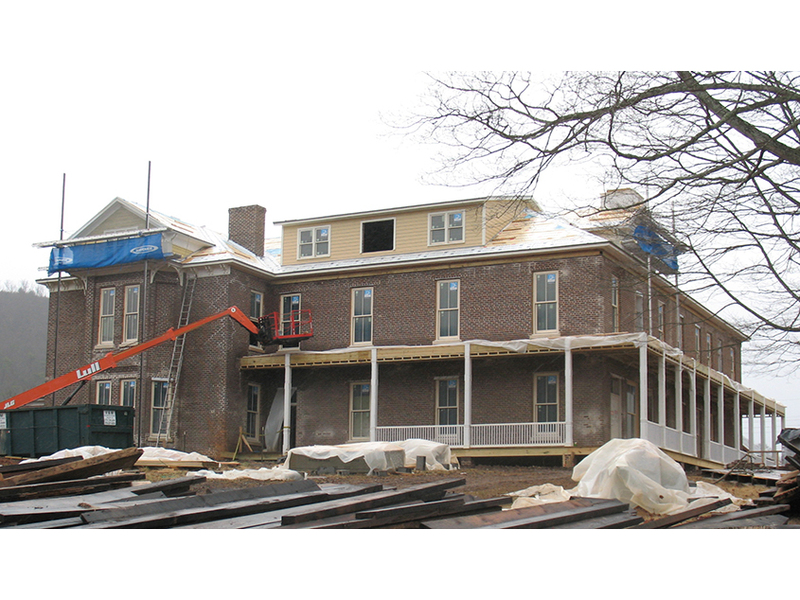 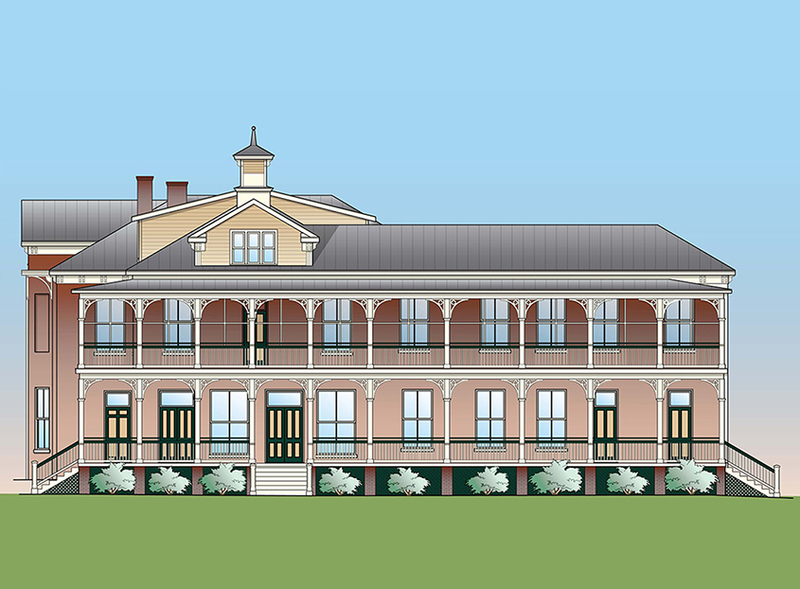 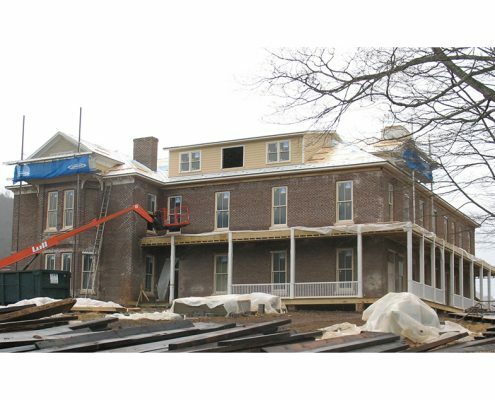 Key elements of the design include restoration of the original roofline with its dormers and cupola, and the elaborate double porches as shown in the photosimulation images. The hotel will eventually provide overnight accommodations and dining facilities in a period atmosphere along with the ability to handle events such as weddings and family reunions when the second phase for interior rehabilitation occurs.